Celebrate the Rhythm of Life: Rhythm Boot Camp is Back! You've been asking for another session of Rhythm Boot Camp and here it is… just in time to work with the rhythm of the year as autumn brings a drawing the earth's forces inward and we too experience a feeling of drawing inward. 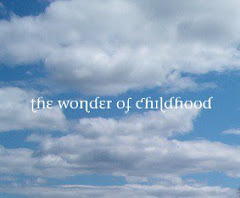 It's a good time of year to bring your focus inward to find ways to bring order and harmony to your days with children. is a 31 day eCourse that provides a place where we can gather with a cup of tea during these cozy days of autumn, at this time in the year when we are naturally seeking order, turning inward in our thinking, and reflect on the rhythm, routine and reverence in our lives and homes. We'll look at family values, the needs of children and adults, mealtimes, bedtimes, play, fresh air and the spaces of time in-between. We'll reflect on what can help each of us bring more rhythm and spaciousness to daily life. With simple and practical ideas and suggestions. With this online course, I will take you by the hand for the 31 days of October and help you become more clear on your family values, more present in the moment, and able to implement daily rhythm into your life. After that you can go back into the eCourse over and over again for it will be up indefinitely. The material in this session is fresh and new, it is not a copy of the last session. 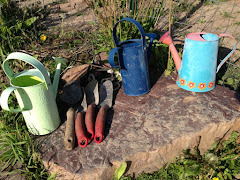 We'll work out of the 3 R's of Waldorf education: Rhythm, Repetition and Reverence. We'll find beauty in the simple and the ordinary, as well as incorporate simple and practical creative and artistic endeavors that make daily life more meaningful and pleasant. And easier too! 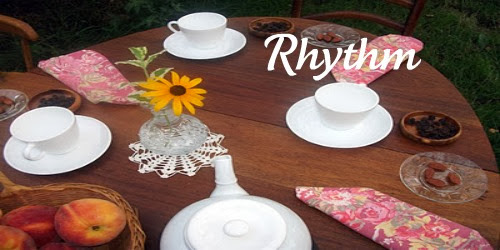 We'll look at different approaches to rhythm. Some of us are night birds and some of us are up with the birds and some of us are both! We'll explore how to find renewal and renewed energy to meet our children where they are at each day. We'll consider what may be getting in the way of your rhythm and how to move through that. I am very excited about this eCourse because it is set up on a brand new private site that is lovely and easy to access and keep track of. Everything for the eCourse is there at the site. 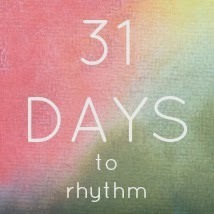 Curious about rhythm, wondering how it compares to a schedule or routine? Wanting to bring more beauty and harmony into your life? Wishing you had more peaceful mealtimes? Wondering how breathing and rhythm are connected? Longing to feel more connected? Feeling drawn to a deeper awareness of nature's rhythms? Imagining a home that is more peaceful and harmonious? Tired of not knowing what comes next? Dear Luisa, the course is with written material. Hi Elizabeth ~ Yes I think it might be quite helpful for you and your babysitter. I am interested in taking this ecourse, however we will be on a camping trip for a week this month. Am I able to begin late (since it has already begun) , and then continue where I left off? If not, will this course be offered again? Thanks! Hi RIcka, yes, you can jump right in be with the energy and momentum of the group for the weeks you are home and then go back and go through the week you missed. The thing about rhythm is that it builds on itself, in sort of a circular way and the course is designed in the way, to keep the momentum going beyond the particulars. I will offer the course again yes, not sure when though, not before the new year. We usually have folks coming in at different times and if you want to get a conversation going about aspects of a past week, it is quite easy to engage others in it.